Clay Aiken – Projects That Help! It is always interesting to see some of the many activities that Clay Aiken chooses to participate in. Besides all the work that Clay does for The National Inclusion Project, he has chosen to help some other charities. There are two special events that were recently announced that involve Clay. Win the chance to have an ultimate VIP experience with Clay Aiken! Proceeds benefit the U.S. Fund for UNICEF. Working in over 150 countries, UNICEF is a global humanitarian relief organization providing children with health care, clean water, nutrition, education, emergency relief and more. The U.S. Fund for UNICEF supports UNICEF’s humanitarian relief work through fundraising, advocacy and education in the United States. For the second year in a row, United Way of Greater Knoxville will feature an online auction as part of the 2010 United Way Campaign. The auction will begin at 8 a.m., Monday, Nov. 8 and end at 8 p.m., Sunday, Nov. 14. All monies raised by these auction items will go towards meeting the 2010 community fundraising goal of $12 million dollars. To bid, visit http://www.unitedwayknox.org and click on the auction banner. 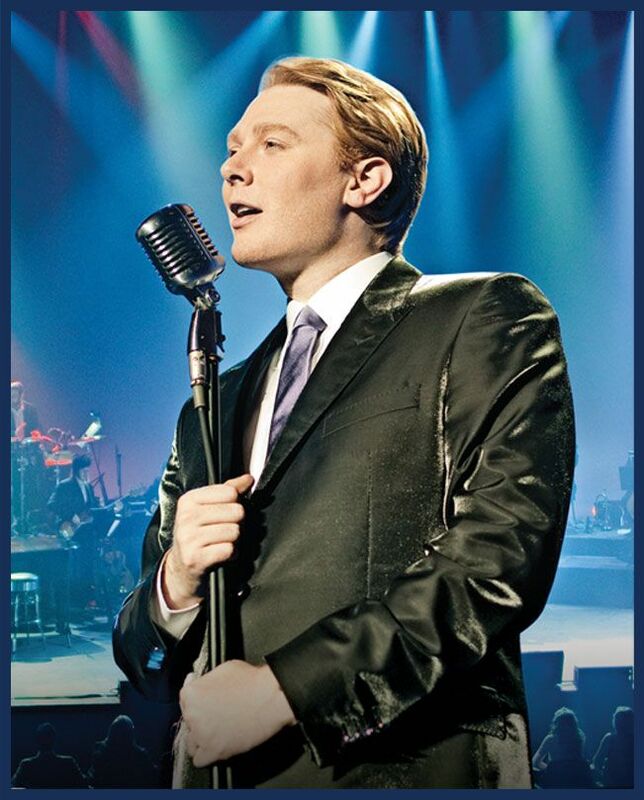 Clay Aiken has donated 2 sets of 2 tickets for the Tried and True concert in Knoxville on February 17, 2011. For more information, call 865-523-9131 or visit http://www.unitedwayknox.org. Now that the holiday season is just around the corner, there is the possibility of hearing Clay on the radio. This week, his song, Oh, Holy Night re-entered the Billboard charts at #78. We can only hope that this is just the beginning of many weeks of radio play. Thank you for the overview of charities for which Clay Aiken is working this season. He has set an excellent example for his fans to make a difference in the world we live in. I'd bid on him any day of the week 😉 Thanks for the information! Clay has always said it's important that he makes a difference.. And he sure has, thanks in part to a lot of his generous fans who are just doing that….What a team!!!!! I hope Clay gets radio play for his Christmas music this season. I requested a few months ago to our radio station to Play "O Holy Night" or anything from Merry Christmas with love. Thought I would mention it before the Playlist was made up. I'm keeping my fingers crossed…. Thanks as always Musicfan for all your information and hard work bringing us the goods on Clay. How do you bid on the items above for Unicef? I couldn't find where or how you bid. Can someone give me that information, please? Mimi………try the following link. I should have put it into the article.Sorry!! Thank you so much! I really appreciate it. This is really a nice package and great of him to do it for Unicef! Besides loving Clay's voice, I certainly admire him for all the charities he has been involved in including his own. Plus I would imagine he has done some things which we did not know about. He certainly wants to make this world a better place for everyone.I so admire him for that. Clay is always helping out in any way he can. Many of his fans bid on these auctions and that helps these organizations. Very proud of him. Yes, I hope his Christmas music gets played a lot this year. I just love O Holy Night and Mary Did You Know. We're approaching the time of year when it's okay for radio to play Clay. I just don't get why he's ignored the rest of the year. Oh well, I will enjoy hearing Clay on the airways even if it's for a short time. Thanks for the articles, It's not Christmas without Clay, I really miss him. I've seen all his Christmas tours. At least he'll be on the radio with his beautiful voice singing the songs we love. Error: Error validating access token: Session has expired on Tuesday, 21-Aug-18 16:13:01 PDT. The current time is Monday, 22-Apr-19 08:21:34 PDT.